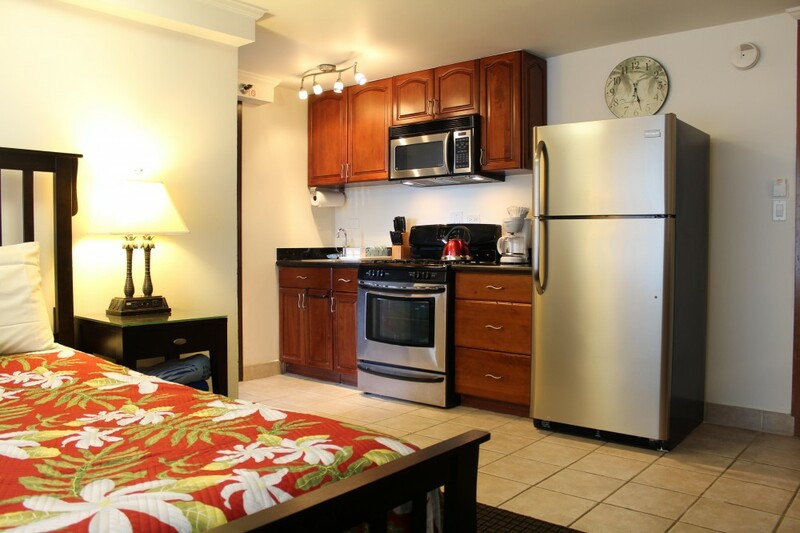 This one bedroom condo in the Bamboo Hotel is located at 2425 Kuhio Ave. Just minutes to Waikiki Beach. You can walk to all attractions in Waikiki. You will have a full kitchen so you can prepare meals and save money during your stay. This condo has two lanais, full kitchen, full bath with tub and shower combination. You can enjoy cable TV and free Wifi.